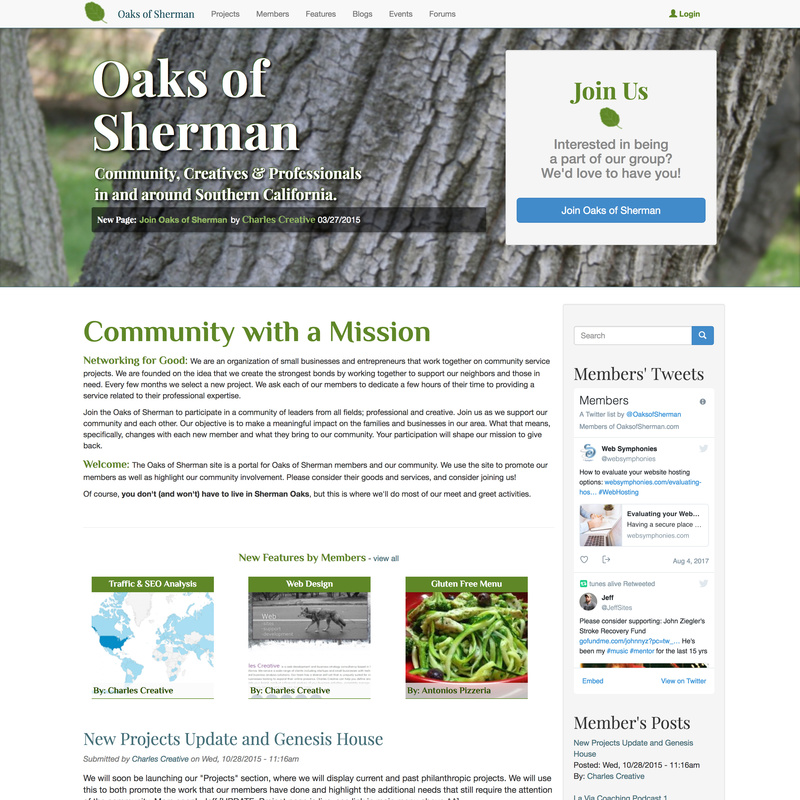 Oaks of Sherman is now in the Archives. A big thank you to those that participated! 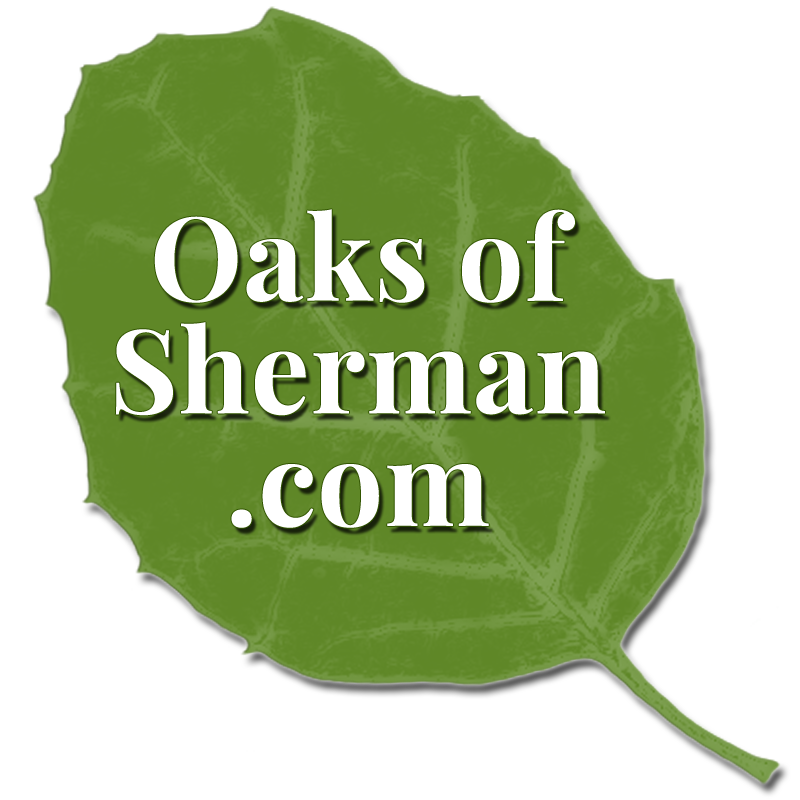 Oaks of Sherman started as a community service project for local businesses to give back to local causes. 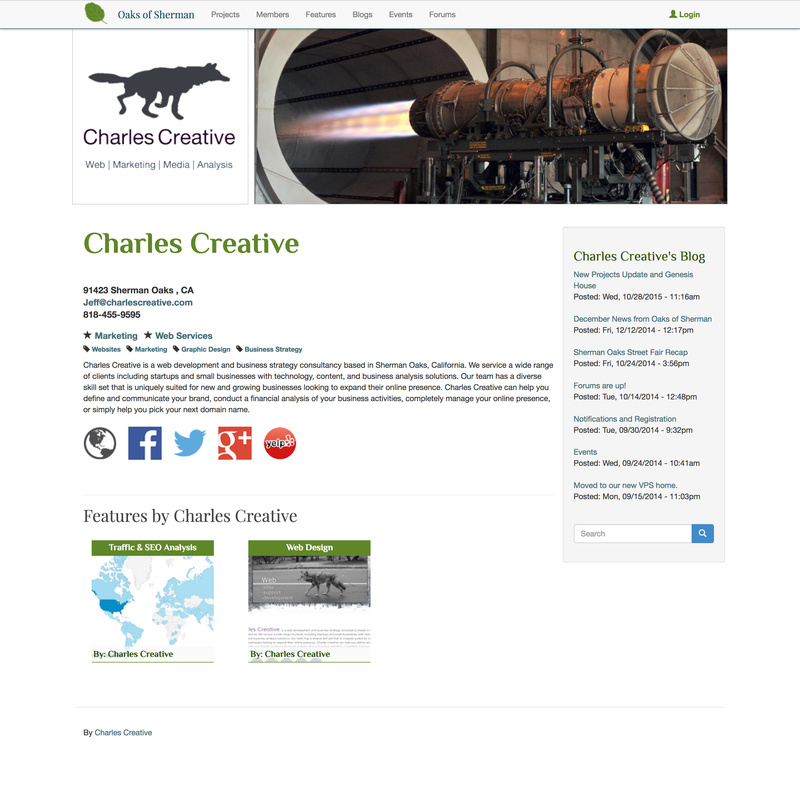 When I first started Charles Creative, I wanted to be involved and network with local business leaders. Most of the associations I joined missed the mark on what I consider to be the spirit of charity. I wanted to be a part of an organization that was a value to its members and its community. 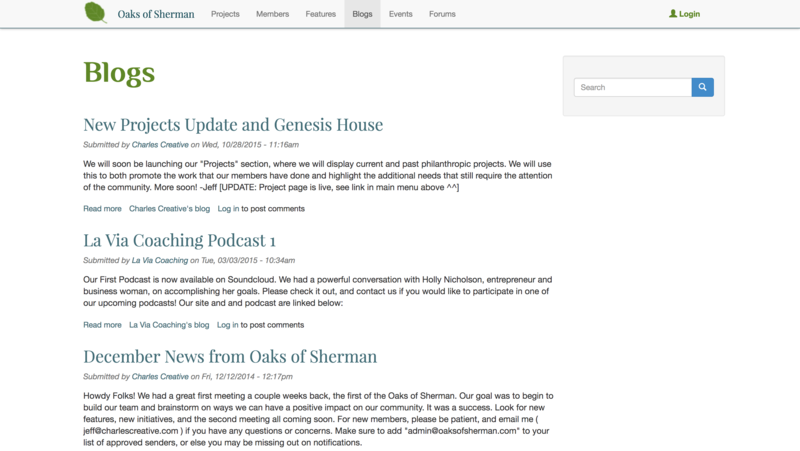 I had recently gotten pretty good at building big multi-stakeholder platforms in Drupal, so when my schedule cleared up one month a few years ago, I got to work. 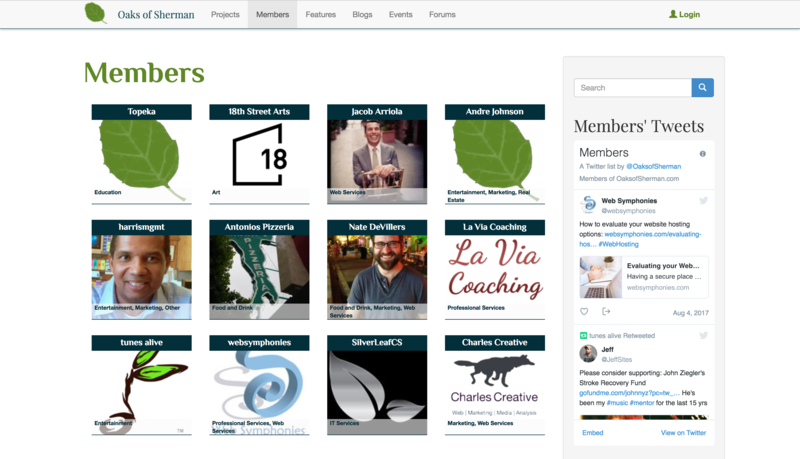 I first reached out to my clients to participate, then started looking to others in the local business community. In the end we did some good work, and I learned a couple valuable lessons. 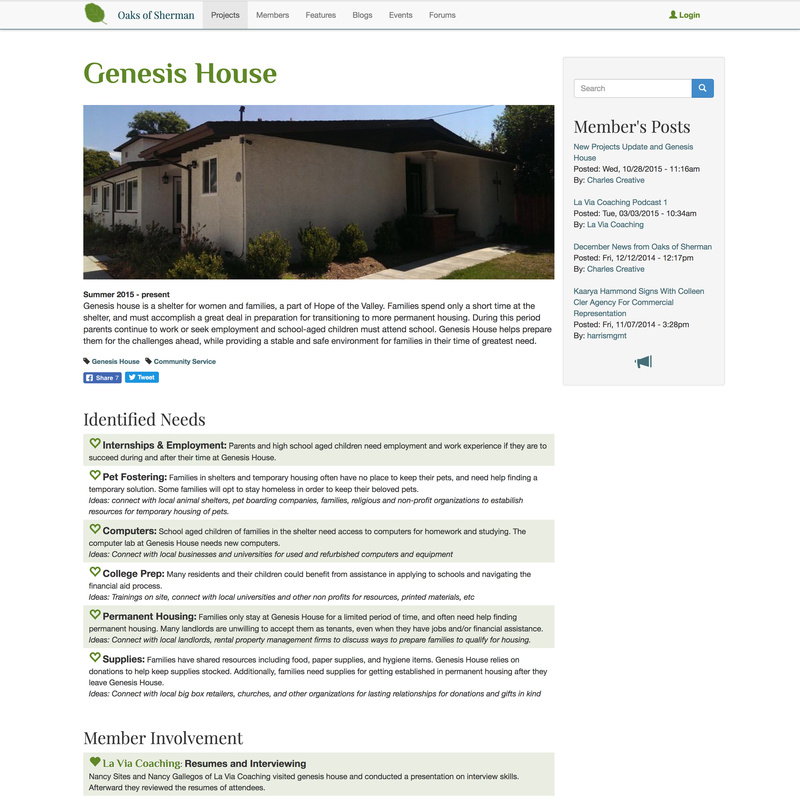 Our biggest engagement was for Hope of the Valley's Genesis house for women and families. Our members and I performed tech support work for the facility, job interview training and life skills workshops for the families. It was great. I learned a lot about the type of people I wanted to work with, as partners and clients. Charitable and enthusiastic people make great business partners and great clients - the inverse is also true, and was reinforced on several occasions. This experience ultimately led me to my continued involvement with Silverleaf Computer Service. The second thing I learned, is that building and maintaining a community service organization is a full time job - and I already had one of those. I've since found other ways to continue to give back. The Topeka Charter School for Advanced Studies, for example.